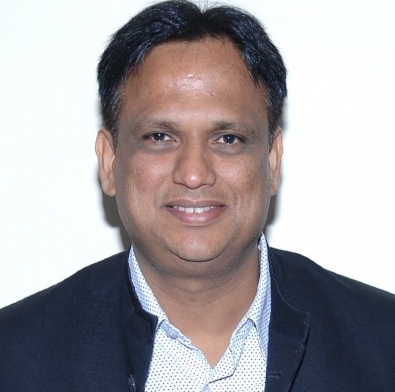 Former India International Dr. Ajay Singh M.L.A was elected unanimously as the President of Tenpin Bowling Federation (India) for the term 2018-2022. Special General Council Meeting of the Federation, to elect the Executive Committee for the term 2018-2022 was held at Hotel Chancery Pavilion, Bangalore, Today. The newly elected Executive Committee approved the Action Plan – 2018, leading upto The Asian Games to be held in August 2018. The Plan comprises of 5 International Exposure Events and 92 Days of Preparatory Camp under National Coach Andrew Frawley. 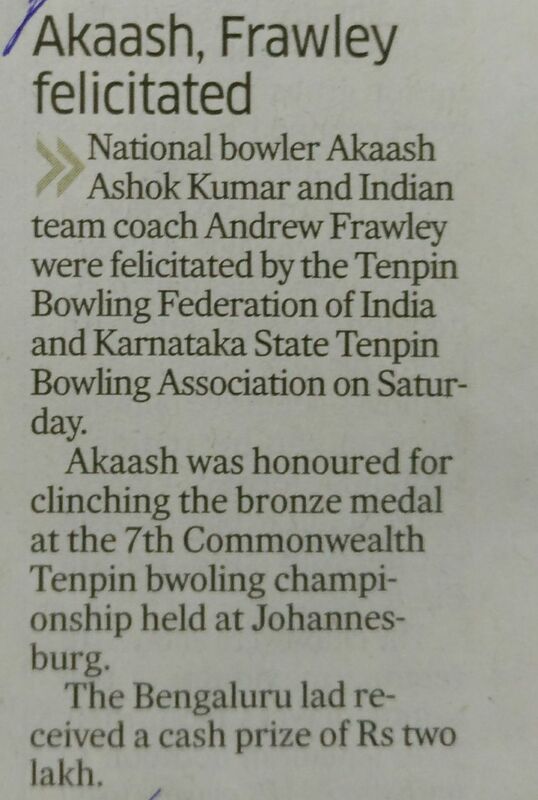 Tenpin Bowling Federation organized felicitatio ceremony for Commonwealth Bronze Medallist Akaash Ashok Kumar and India Coach Andrew Frawley on July 21, 2017 at Bengaluru. 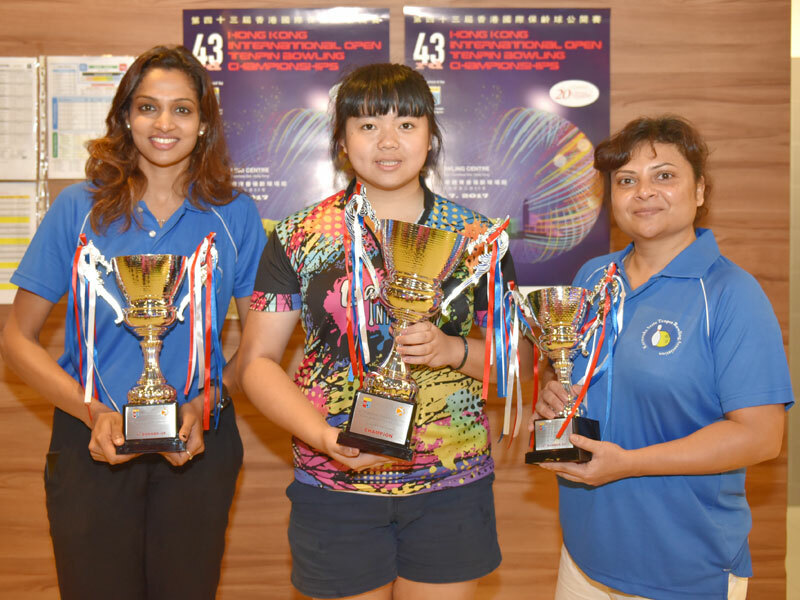 Karnakatka Bowlers Chethana & Judy turned in dreditable performances to finish 2nd and 3rd in Women' Masters of Hongkong Open 2017. 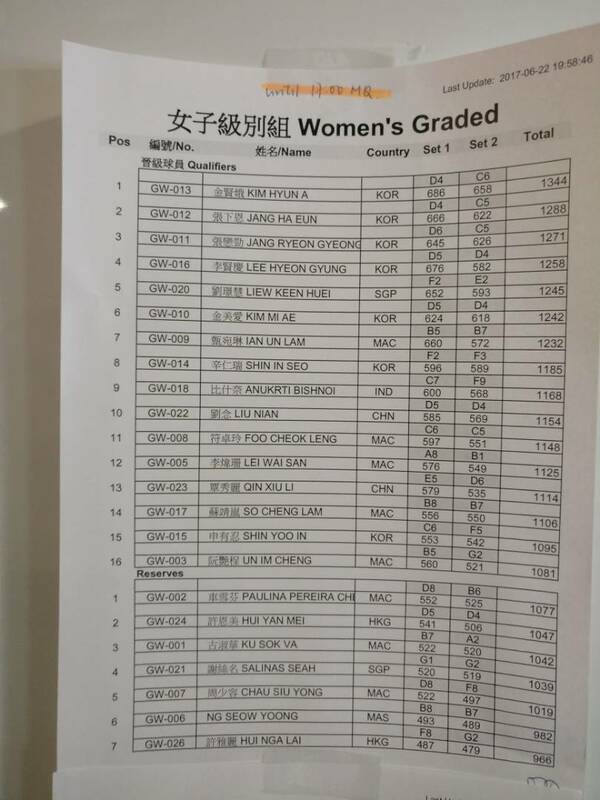 I Women Chethana finished with an average of 173.50 in 8 games and Judy Alban finished with an average of 168. Hongkong Open 2017 : Dhruv Sarda finishes 4th. Reigning National Champion Dhruv Sarda has once again come very close to finishing at the podium at ABF Tour event. 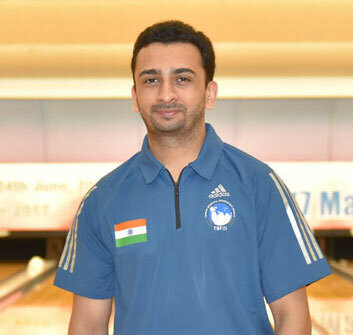 He has made Indian Bowling Community proud by finished 4th in Hongkong Open 2017. Dhruv had qualified to Round 2 of the event just by a whisker but performed really well to finish 3rd to qualify for step ladder round. In the step ladder round match 2 open frames cost him dearly and he finished overall 4th. 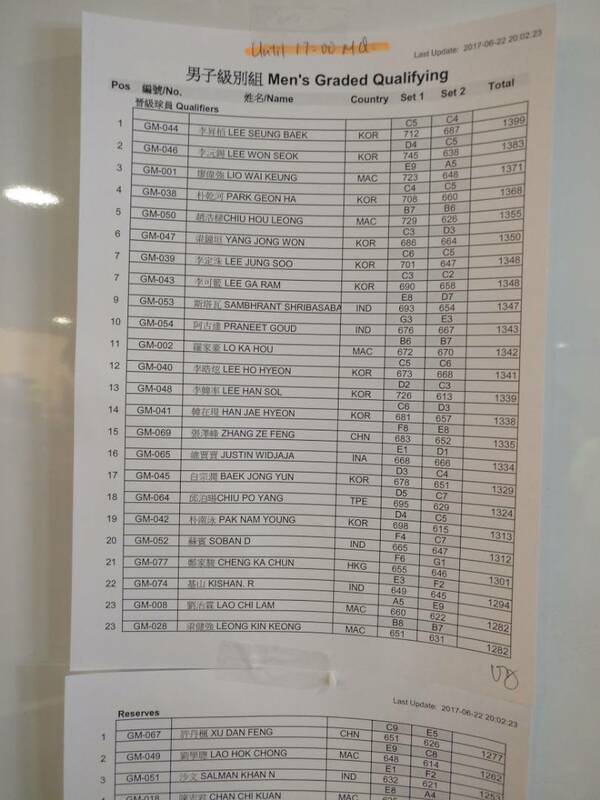 This is second time in this year, after DIBC International Open ,Dubai earlier, that Dhruv has managed to reach the stepladder round on ABF tour. 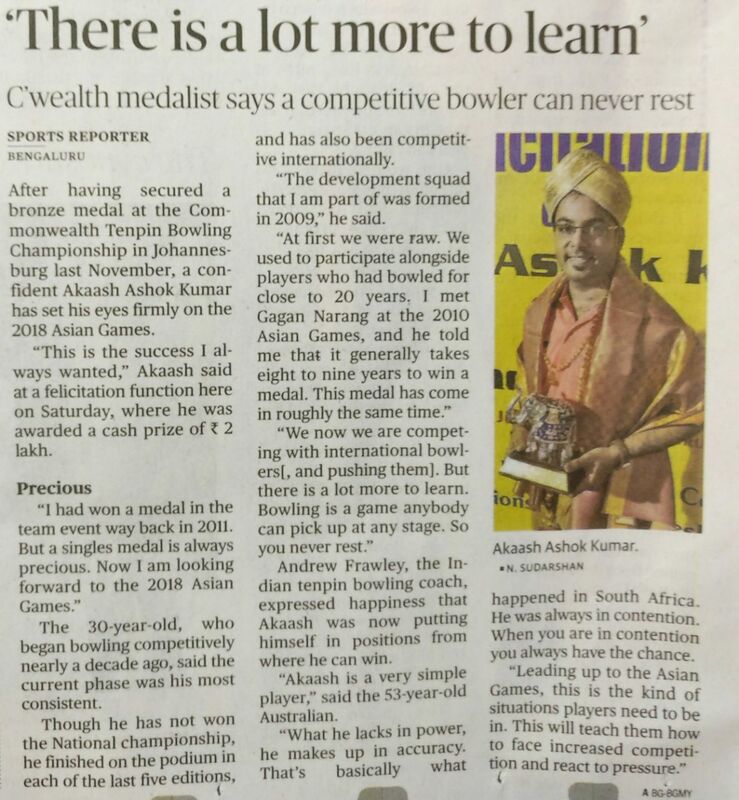 Dhruv Sarda made the cut for ABF Tour as 2 Malaysian Bowlers in Top 16 dropped out. Dhruv made most of this opporunity and beat Local Favourite Zoe Dias 257 -- 233 in the first match. 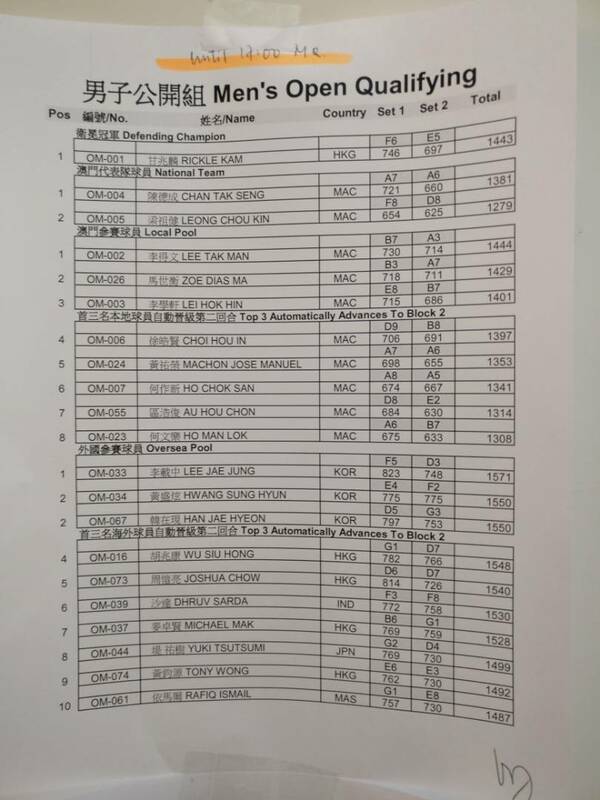 However in quarter finals he lost to Adrian Ang of Malaysia 268 -' 300 !!!!! Based on his score of 268 is the highest among the losers therefore he finished 5 th in ABF tour rankings, securing 33 points .!! Sambhrant Srivastava also brought some good news for Indian Contingent by winning Special prize for Highest score in Individual Game in Men ' Graded Category of Macau Open 2017. 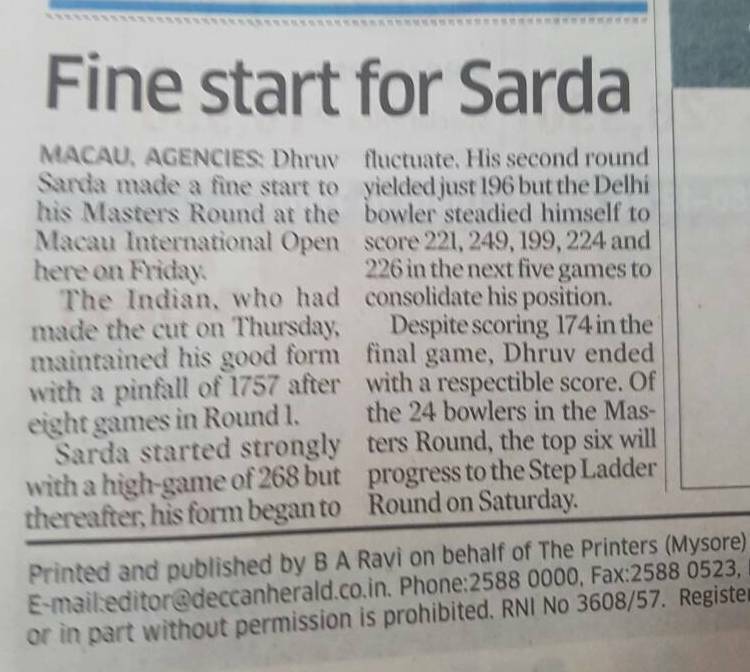 India's National Champion Dhruv Sarda, who had qualified to final round of Men's Open yesterday, finished his campaign at 17th position after finishing round two 8 games with a total of 1728 pinfall and average of 216. Indian contingent's campaign in the Graded Category of Men and Women also did not on end on a high note. 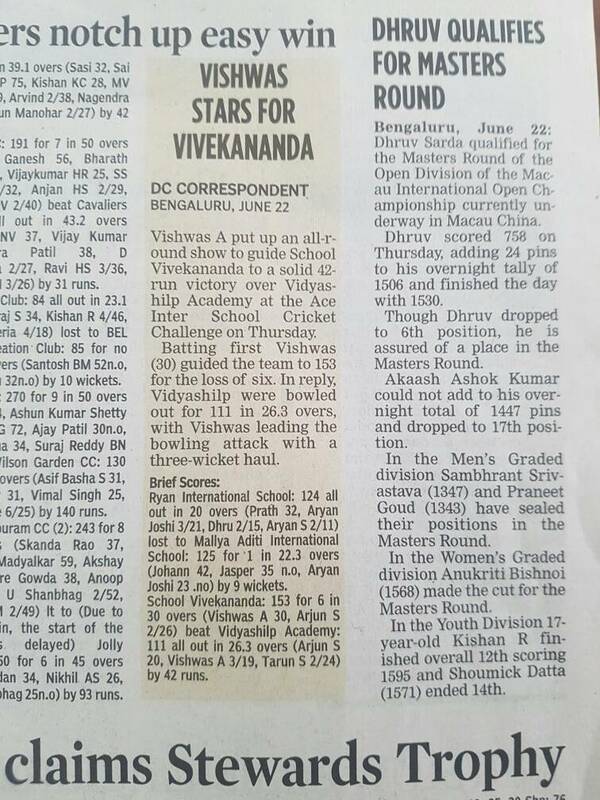 Kishan R injured his forearm during Youth Finals an could not compete beyond the 4 th game. The Rest , barring Soban,Who made their debut in Graded A Masters, did not live upto expectations !! 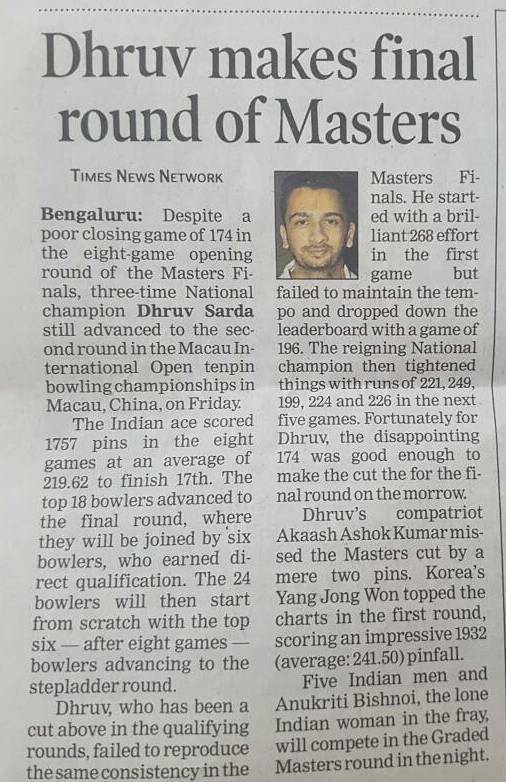 Yesterday Dhruv had made the Cut to the Masters Round ..but Akaash missed it by 2 pins !! Pinfall of 1447 and Average 241 was great effort but not good enough. 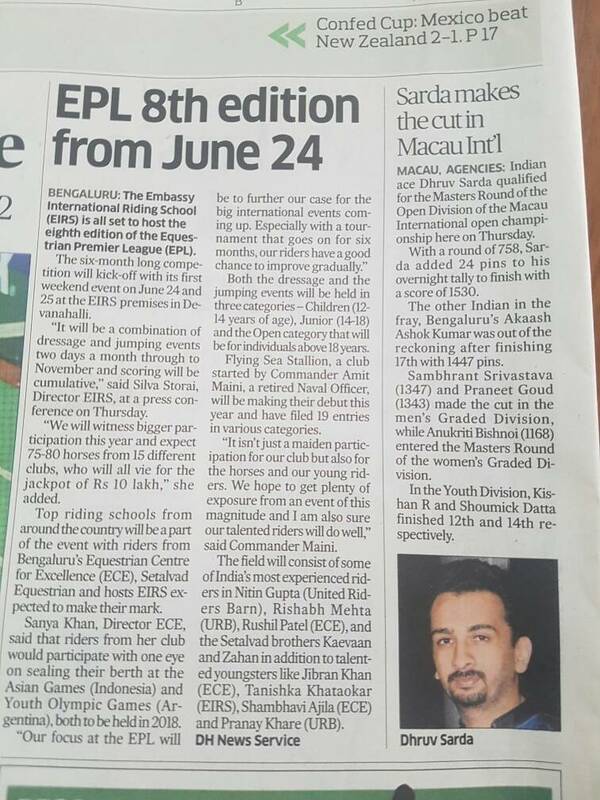 Sambhrant , Praneet ,Soban and Kishan R made it to Men's Graded A Masters. 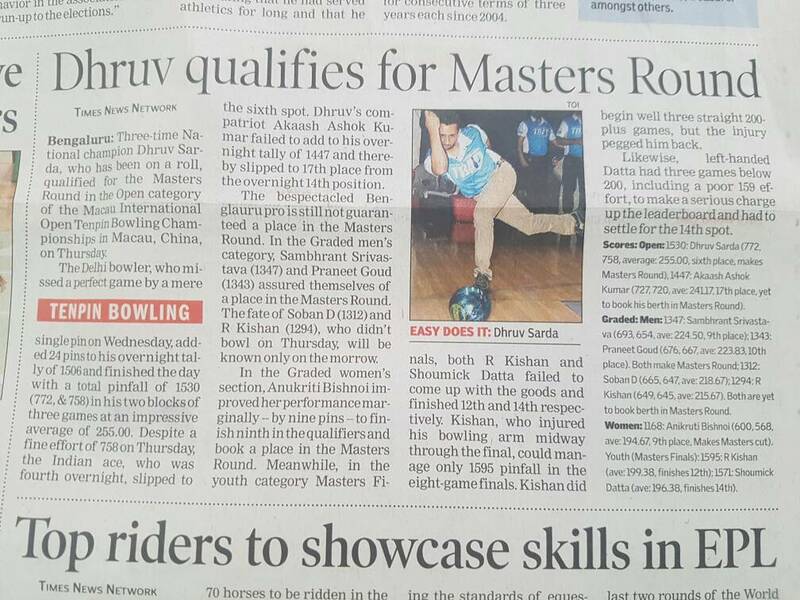 Anukriti Bishnoi made it to the Women's Graded Masters !! Towards the end of the day Dhruv finished his Round 1 Masters at 17th and managed to scrape thru to Round 2 to be held tomorrow !! 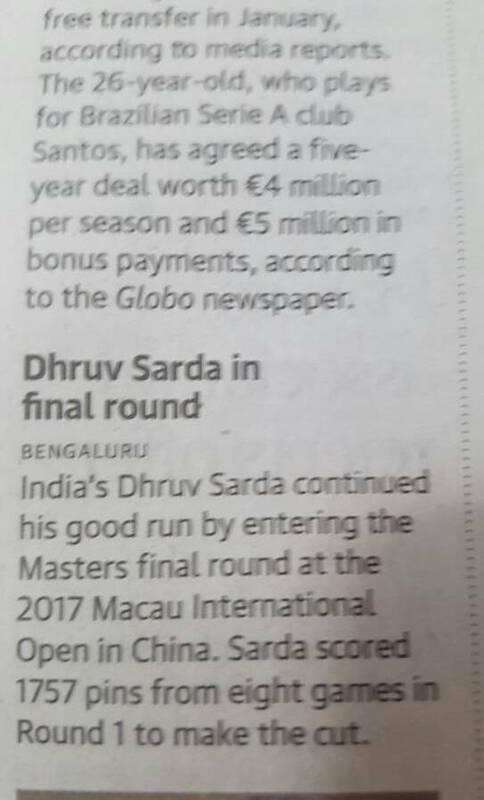 Dhruv Sarda of India qualified for the Masters Round of the Open Division Of 2017 Macau International Open Championship currently underway in Macau China . Dhruv scored 758 today ,adding 24 pins to his overnight tally of 1506 and finished the day with 1530. 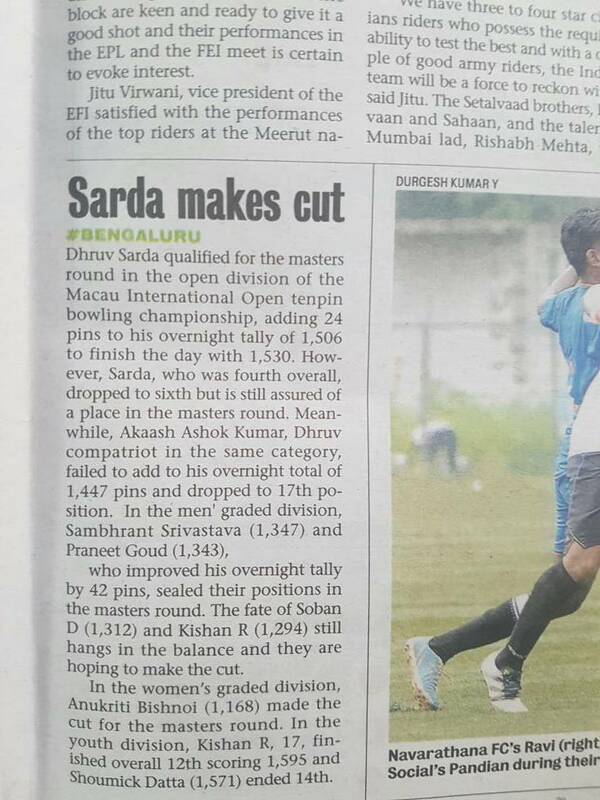 Dhruv Sarda ,ranked overall 4th though Dropped to 6th position is assured of a place in the Masters Round . 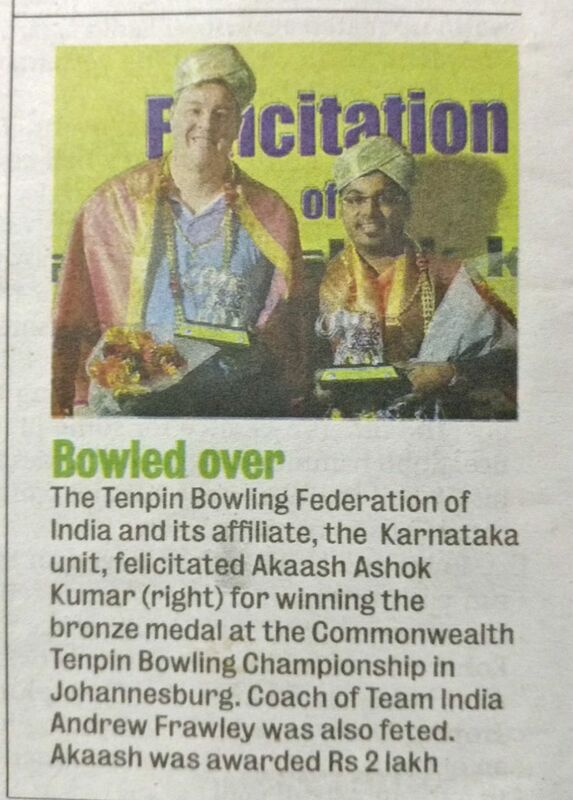 Akaash Ashok Kumar could not add to his overnight total of 1447 pins dropped to 17th position . 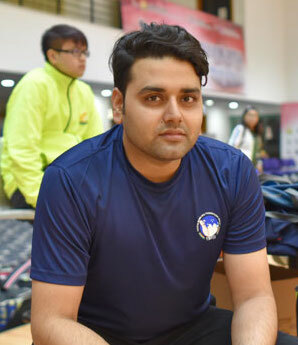 In the Men' Graded Division Sambhrant Srivastava ( 1347) and Praneet Goud ( 1343), who improved his overnight tally by 42 pins, have sealed their positions in the Masters Round . 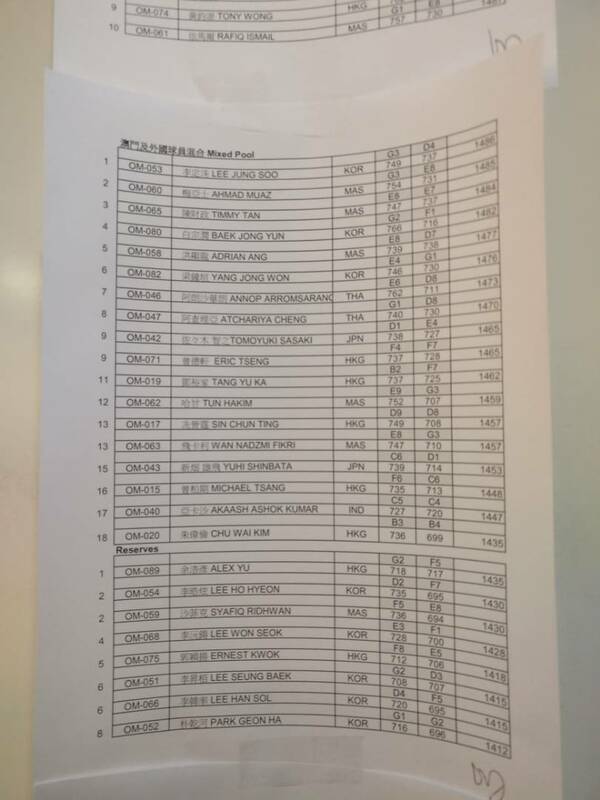 Soban D ( 1312) and Kishan R ( 1294 ) are fighting their way in last 3 squads to make the cut . In the Women " Graded Anukriti Bishnoi ( 1568) added 9 more pins to her overnight tally of 1559 and made the cut for the Masters Round . Kishan R finished at 12th position with average of 199.38 and Shoumick finished 14th with average of 196.38 in Masters Round of Macau Open 2017. 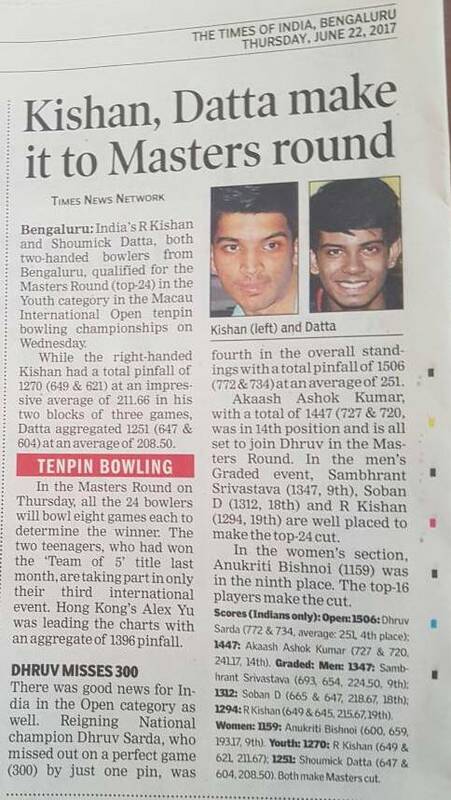 This has been very impressive effort by youngsters of Indian Tenpin Bowling. 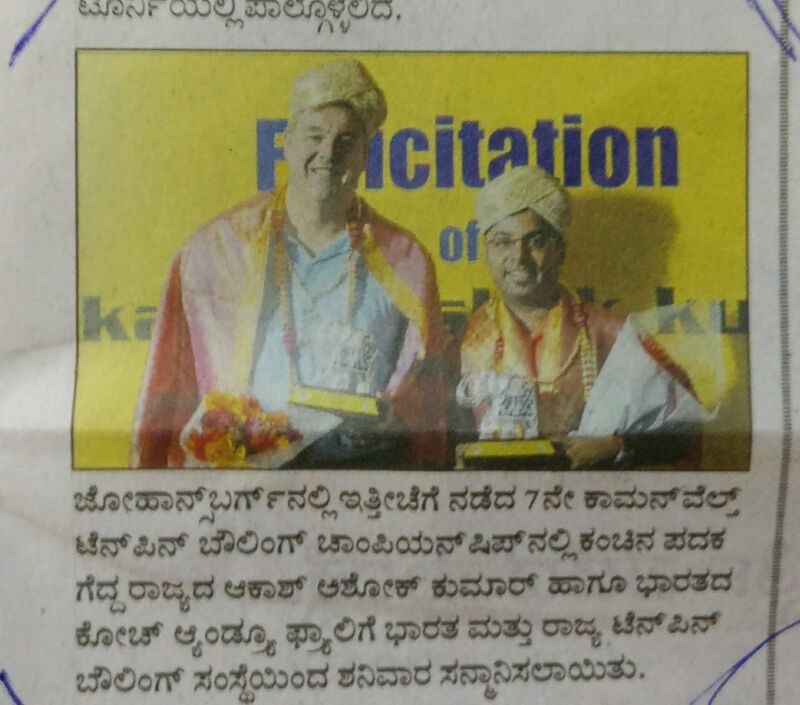 Kishan and Shoumick make the Cut !!! Kishan R and Shoumick Datta of India qualified for the Masters Round of Youth Category in the 2017 Macau International Open Championship currently underway at Macau . 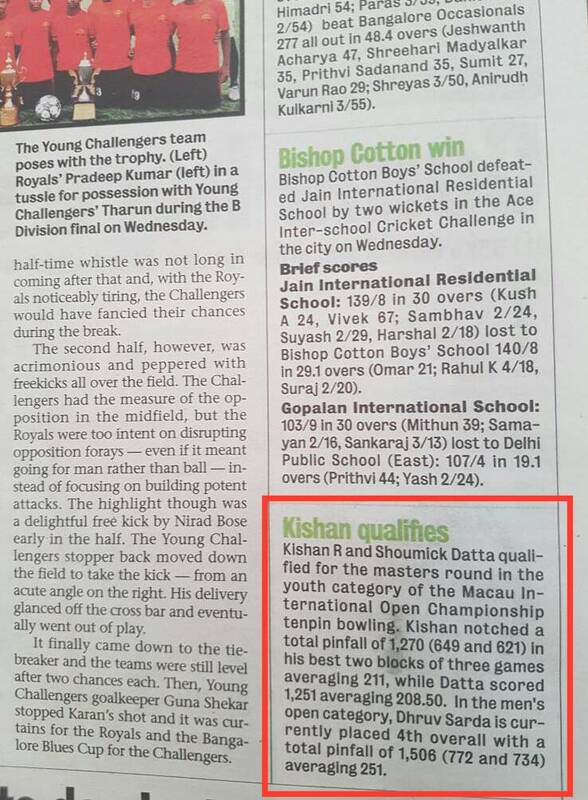 Kishan R scored total pinfall of 1270 ( 649 and 621 ) in his best 2 blocks of 3 games averaging .211 and Shoumick Datta scored 1251 ( 647 and 604) averaging 208 .50. 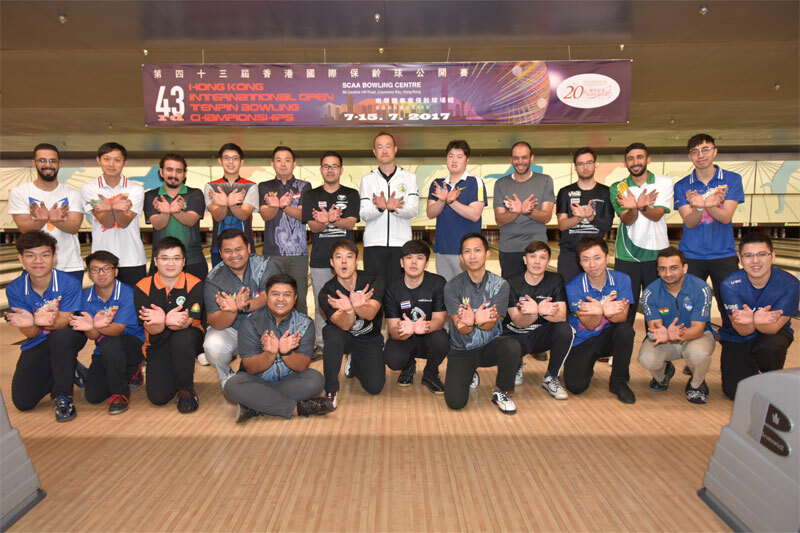 Top 24 bowlers who qualified for the Masters Round will bowl 8 Games tomorrow to decide the Winners. 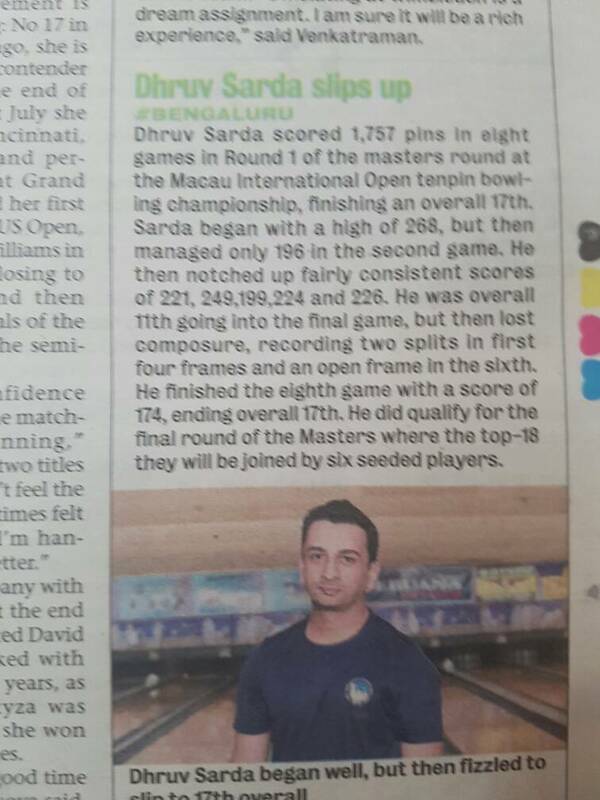 In the Men' s Open Category Dhruv Sarda of India is currently placed 4th Overall Standings, with an impressive total pinfall of 1506 ( 772 and 734 ) averaging 251. He also missed a perfect game only by 1 pin. 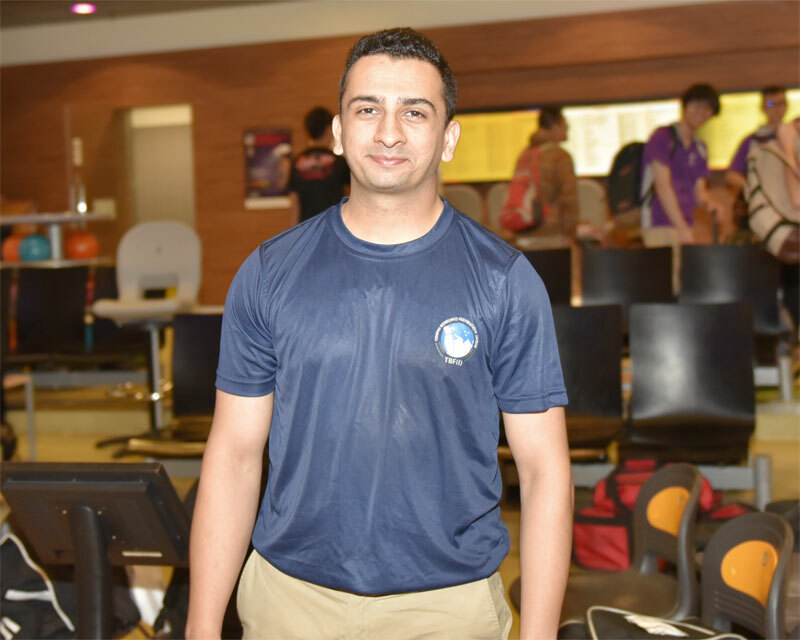 His teammate Akaash is in 14th position with total pinfall of 1447 (.727 and 720 ) averaging 241.Sambhrant Srivastava (1347), Soban D ( 1312), Praneet Goud ( 1301 ), Kishan R ( 1294) and Anukriti Bishnoi ( 1159) of India are in the race to qualify for the Masters Round of the Men's Graded And Women's Graded categories respectively . Tomorrow is the last day of qualifying round for Open as well as Graded categories .